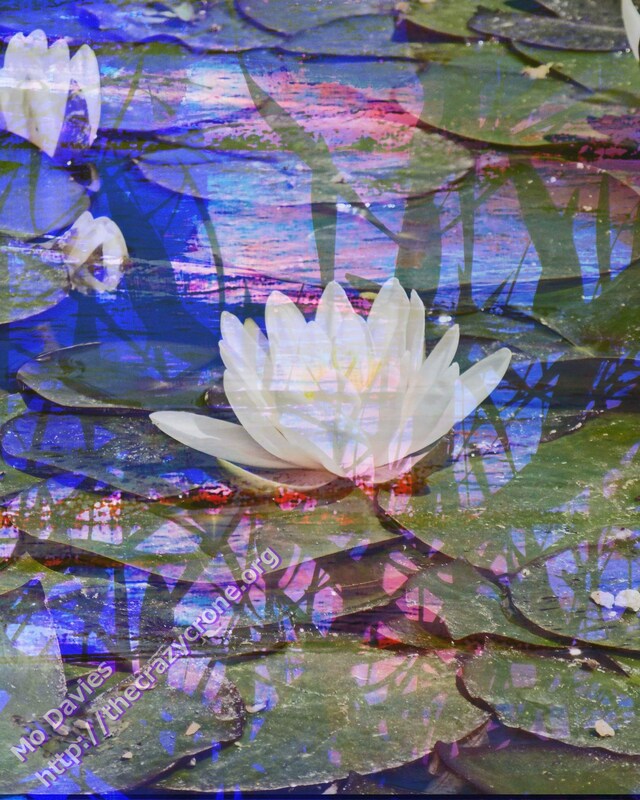 This image is composed of three layers – the first is a photo of an iceberg; the second is a photo I took here in North Cyprus of mimosa leaves against a setting sun; and the final layer is a photo I took at a garden centre near here, Gardens of Babel, of water lilies in a pond. The layers remind me of the fact that often truth can get hidden by layers of deception, but often emerges when we least expect it, often with unexpected results. Thanks, Carol, the Gardens of Babel where I took the photo of the water-lily is quite amazing – a garden you can wander around in, a really old colonial-type house, a garden centre and a lovely, cosy cafe. Great place to feel at peace and in touch with nature.